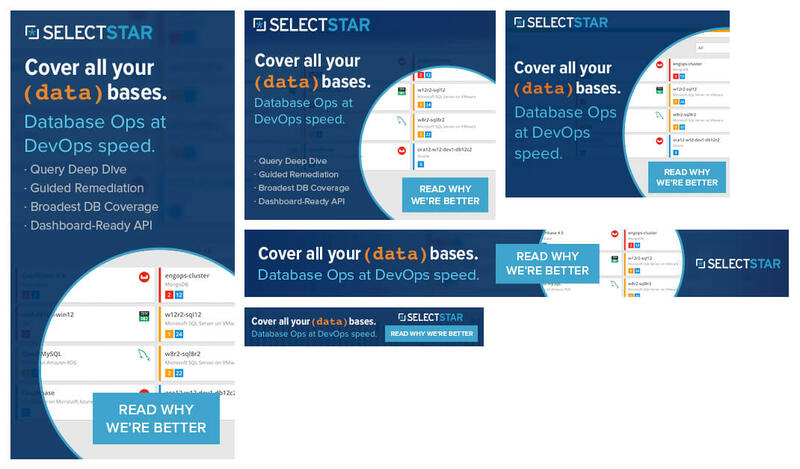 With SelectStar, Blue Medora was satisfying a growing need among developer operations personnel: the ability to quickly see and address issues across a range of databases. The product was ready, now they needed people to know about it. Blue Medora turned to Willis Collaborative to help develop a campaign to get them leads. Willis Collaborative worked with Blue Medora to determine who the real customer was, what their needs are, and what their hot button issues are. From there, we mapped out a simple campaign framework with banners targeting one of three core needs, each driving to distinct landing pages that explain more about the product and push for a sign-up of a free trial. Willis Collaborative produced the copy for the banners, written in a way that plays up on the DevOps knowledge of command line interfaces. 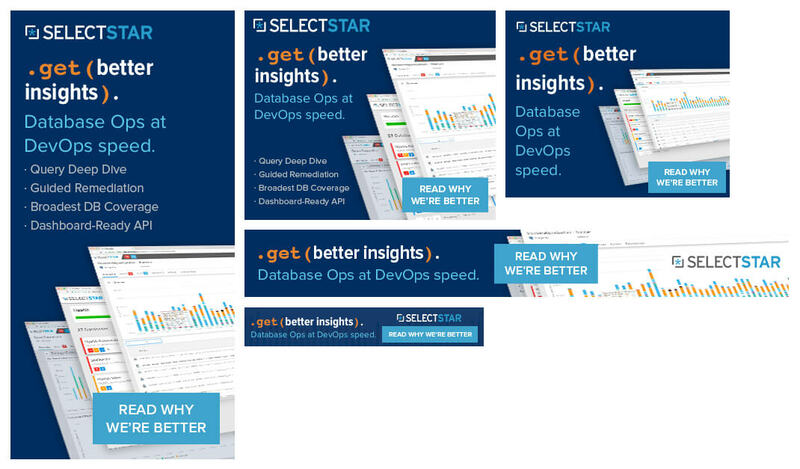 From there, we did a creative exploration that took into account the SelectStar visual identity and what competitors were doing in the market, ultimately landing on two treatments for the banners. In parallel, we produced the three landing pages affiliated to each banner, using video of key features in the SelectStar app to produce animated clips to better highlight the features and benefits. When the campaign launched, Blue Medora saw immediate results, with a number of sign-ups the same day.